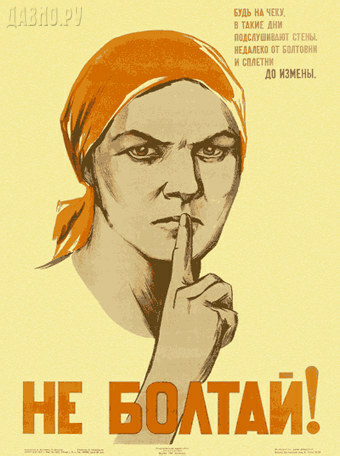 One of the most ironic Soviet propaganda posters, this one from 1941, during the war effort. "Do not blab" it says. Yet before and after the war that's exactly what everybody did to survive: denounce other people. It went hand in hand with denouncing the West.